SAN ANTONIO – The San Antonio Stock Show & Rodeo has announced more than half of the 2019 entertainment lineup for the annual event which begins Feb. 7. The highly anticipated stock show & rodeo takes place Feb. 7-24, 2019, at the AT&T Center/Freeman Coliseum Grounds. Following the Professional Rodeo Cowboys Association rodeo, many in attendance can a enjoy their favorite entertainer. This year’s stock show & rodeo kicks off with Texan and fan-favorite Aaron Watson on Thursday, Feb. 7. While the following Friday and two Saturday performances have yet to be announced, country singerDarius Rucker keeps the party rolling performing Monday, Feb. 11. Fans can also expect to see Eli Young Band on Saturday, Feb. 16 before Kelsea Ballerini comes into town Monday, Feb. 18. 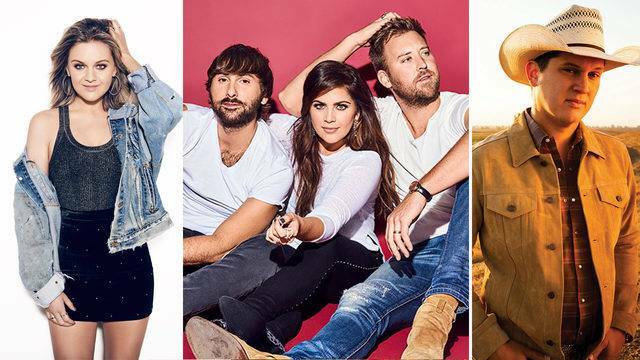 The next day, country fans will be excited to see Jon Pardi on the list of scheduled performers for Tuesday, Feb. 19, and then Lady Antebellum on Wednesday, Feb. 20. Brett Eldredge finishes things off Saturday night, Feb. 23 at the PRCA Rodeo Finals. The first performance at 1 p.m. for that day has yet to be announced. Individual tickets for each PRCA Rodeo and concert may be purchased on the Rodeo mobile app, at sarodeo.com, by phone at 1-877-63-RODEO (76336), at Ticketmaster retail locations, or at the Rodeo Ticket Office (located at the Southwest Corner of the AT&T Center). Ticket office hours are from Monday-Friday, 8 a.m. – 5 p.m., Saturdays, 11 a.m. – 3 p.m. and are closed on Sundays. Season tickets and ticket packages are also now available.